I don't know how well this would perform, but I love the retro front design of the new Polaroid Z2300 instant digital camera. It has a 10 megapixel sensor and can produce 2 x 3-inch prints using ink-less Zink technology. Instead of using ink for printing, Zink photos use smudge-proof, water-resistant paper that contains tiny transparent crystals. When heated up, these crystals turn into cyan, magenta and yellow-colored dots that give you a paper photo in just one minute. It kind of feels like the old Polaroids, but on landscape format and without all the shaking. The camera is $160, while a 20-sheet pack of Premium Zink paper goes for $15 and the 50-sheet pack goes for $25. You can also print stickers. 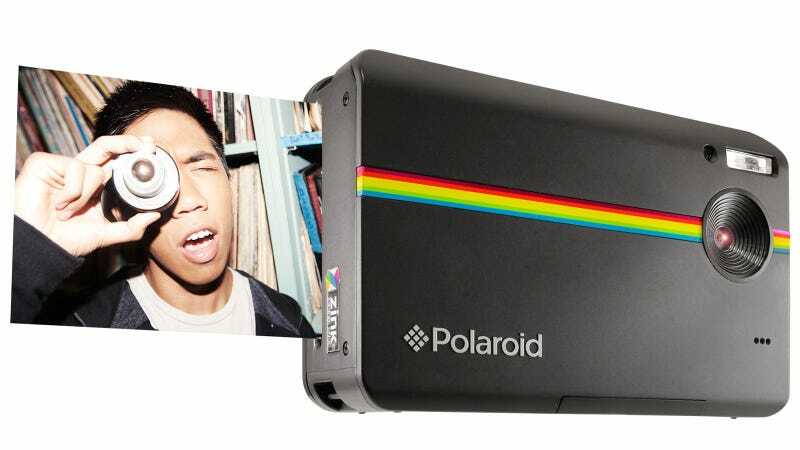 I would like Polaroid to release a square-format camera that automatically uploads any printed images to your Instagram account. That would increase the value of every photo—and make me think twice before posting yet another food picture. Would you like one like that? Do you like this one? Perhaps a slim Zink attachment for your phone? Tell us in the comments.